There are no surprises as to what made it on--in fact, it's one of the most legitimate lists ever in terms of "does this count as a hit?" status. What's something of a surprise is that a solid chunk of Madonna's best material is ignored. True fact: The Immaculate Collection and GHv2 already exist to cover much of the material that is again being released for this 2-CD set. But those albums left out a wealth of material as well. 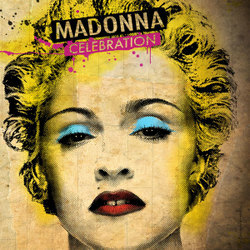 Just saying: if this is supposed to be the definitive collection and essentially wiping the slate clean from Immaculate and GHv2 and acknowledging that You Can Dance and Something to Remember didn't "count" as best-of's... this album kind of forgets about still some of Madonna's very best material, even while including its equals.